Just lace and wear! Make earrings, bracelets and necklaces with 46 soda tabs in 3 colors. 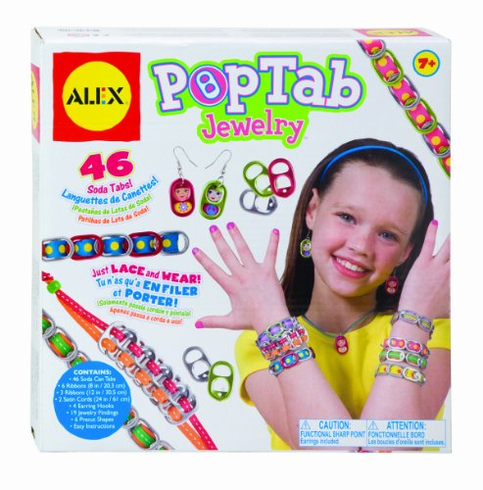 Also includes 9 ribbons, 2 satin cords, 4 earrings hooks, a bead, jewelry findings, precut shapes and easy instructions. Ages 7 and up.